Hello my dears! 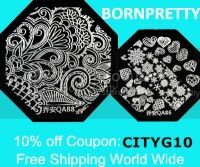 Today I have more Born Pretty Store stamping to show you! So, the shimmery teal polish is Zoya Zuza. Two coats of this smooth, glassflecky formula covered all nails except the ring finger. 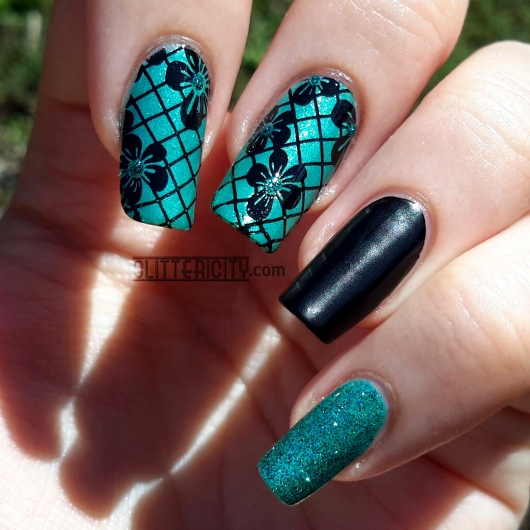 Then, I used my new stamping plate from Born Pretty Store, BP-44, and stamped the fishnet-and-flowers image onto my first two fingers, as you can see. Lots of pretty images on this one! Next, for some sparkly accents, I dotted Pure Ice Watch Me Go into the middle of each flower, and painted two thin coats over the small finger and thumbnails. 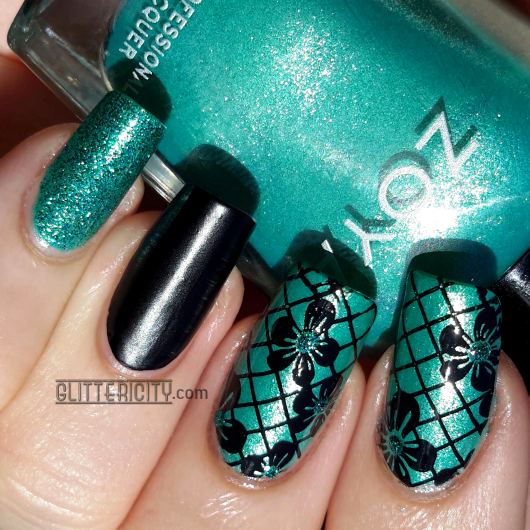 This is a great glitter polish--smooth, with very tiny glitters in green, teal, and blue... I think. They're so small and blend so seamlessly it's really hard to tell! I got so many compliments on this one at work today! 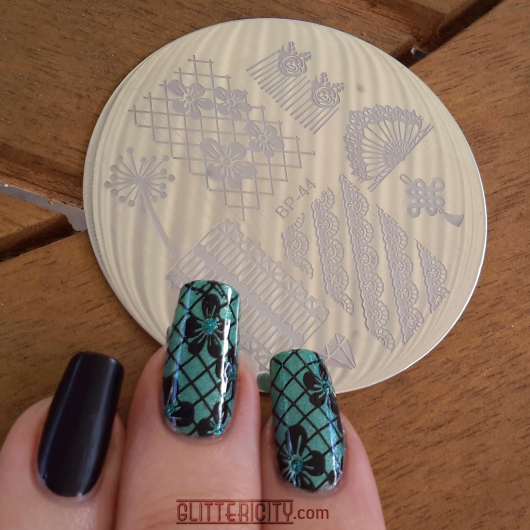 This stamping plate is flawless, and I really dig it. You can find it and many more great plates on the BPS website--don't forget to use my coupon code CITYG10 to get 10% off your order!